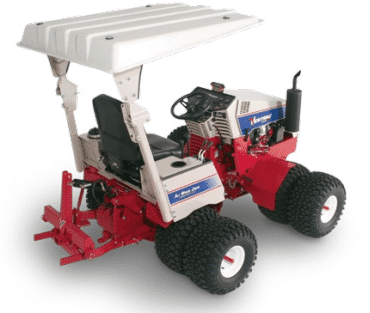 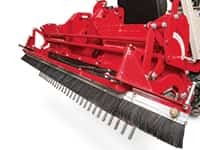 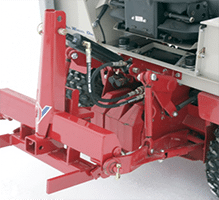 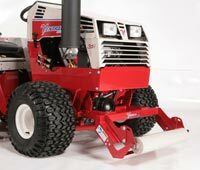 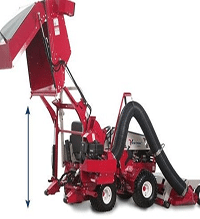 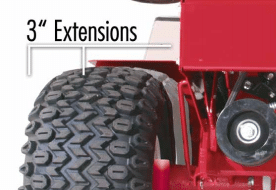 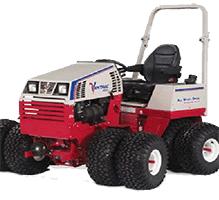 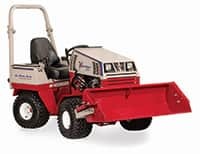 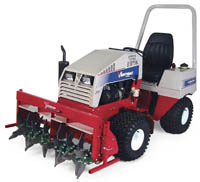 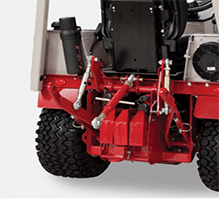 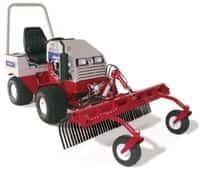 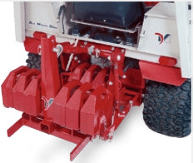 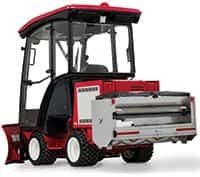 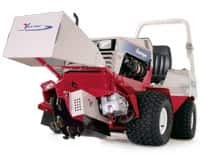 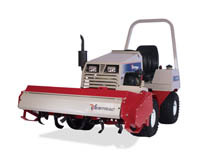 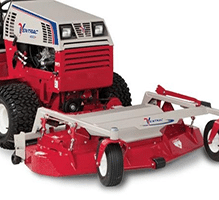 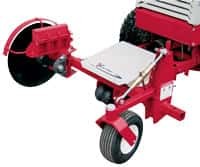 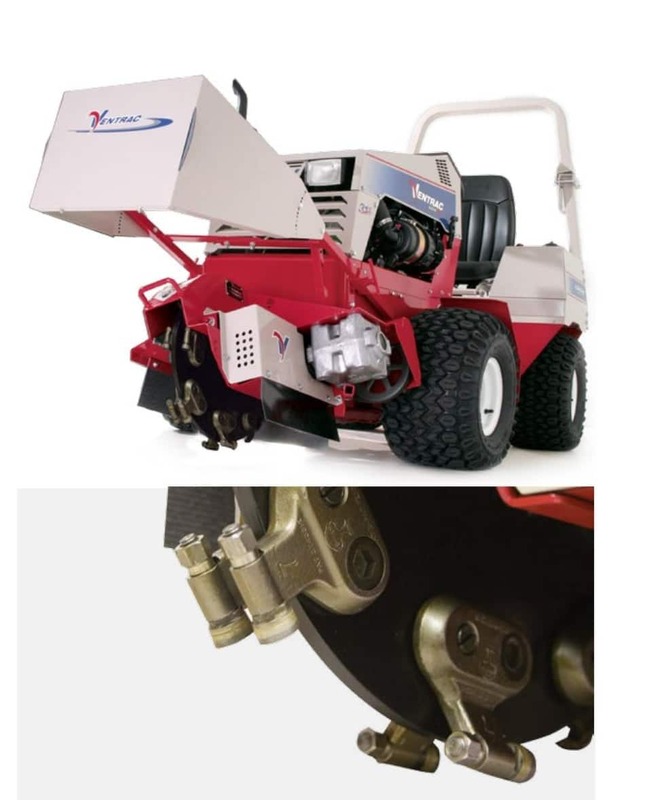 The Stump Grinder, mounted on the 4000 Series tractor, creates an agile, powerful and “turf friendly” mobile unit for lawns, golf courses, parks, and municipalities. 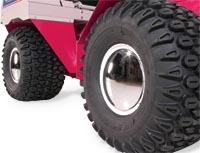 A special convex mirror mounted to the tractor provides operator visibility to the front cutting edge. 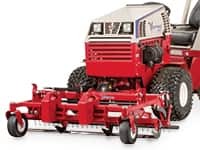 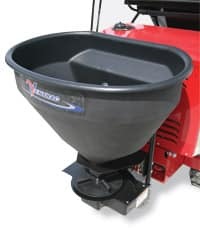 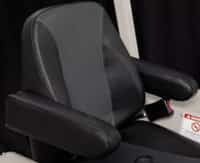 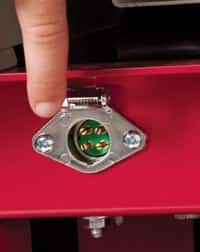 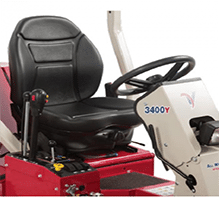 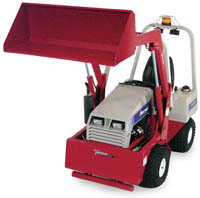 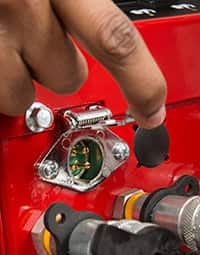 Steering wheel-controlled articulation provides side-to-side cutting action. 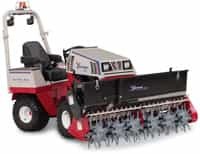 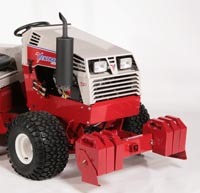 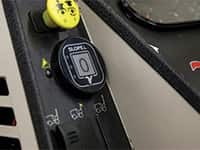 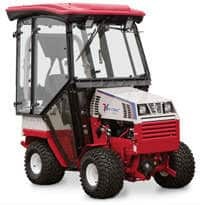 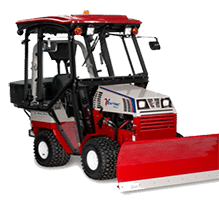 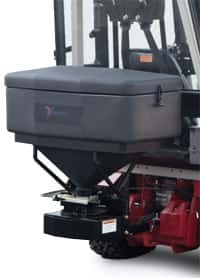 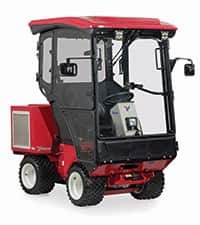 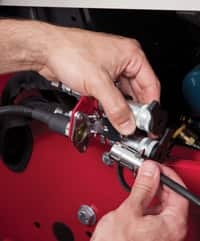 Forward and reverse motion is controlled with the tractor’s hydrostatic drive.